A couple of days ago I had a conversation with a literature professor about writing in which he maintained that literary criticism is every bit as “creative” as the crafting of fiction. I understood his point. To take a text and tease meaning from it that perhaps no one else has gleaned, and then shape a well-conceived argument supported by threads of evidence not only from the text itself but also from related works, does require a certain talent for inventive thought. Having written literary criticism myself (though it’s been many years since I did so), I understand first-hand the almost mathematical deductive aptitude and gift for intellectual organization required for that kind of writing. There’s no question in my mind that the writing of literary criticism is a creative act. If there’s any kind of writing that falls into the category of undiluted creativity, i.e. the making of something from nothing but the writer’s inner landscape and imagination, fiction gets my vote. Here’s why: Essay writing, criticism, and non-fiction works all derive from something that already exists; an idea, ideology, or socio-cultural trope, a piece of art, literature or music. Something must have been put in place before the essayist, critic or non-fiction writer can comment upon it. That kind of writing therefore is dependent upon historical forces or inspired works that came before it, the latter often though not always the handiwork of the creative writer. However much ingenuity necessarily goes into fashioning non-fiction, criticism or otherwise, it is not purely creative. That is the realm of the craftsman and of the artist. Literary criticism and other non-fiction writing also differ from fiction writing in the ways in which the writers structure their creative ideas. Because their foundational purpose is to persuade the reader to a point-of-view, to see a work of fiction or a slice of the world through a particular lens, criticism must be intellectually precise and detailed in every respect, from conception to execution. Its appeal, however complex the edifice, is always to the audience’s reason. If his points are to convince, the critic has to look logically at his subject from every possible angle, anticipate arguments and counter-arguments and address them accordingly. Well-executed works of expository writing often are breathtaking in their formulation and implementation. Fiction writers execute their craft differently. Logic is important here, too, but good fiction can make the reader feel in the same way that all art does, within both the heart and the soul of the reader. The best fiction not only tells a story but engages the reader below the level of conscious thought so that she picks up the writer’s underlying meaning without her necessarily being aware of it in an intellectual sense. The reader of a novel or short story must be able to identify implicitly with the protagonist’s humanity. By definition then, the appeal is not only to the audience’s reason — the story and the characters who inhabit it must make sense within context — but to their emotions. That is accomplished both by what the author writes and perhaps more importantly what he does not write, in the spaces between the words where the deepest meaning often is found. It is within those spaces, where the human mind processes information and comprehends subliminally, that art functions in ways which transcend reason. Fiction writers therefore have to create simultaneously on more than one level, both explicitly with regards to story and within those hidden, empty spaces between the words. And before they even set pen to paper, they must be able to think in two (or more) dimensions at the same time; in the realm of day and of night, of waking consciousness and of dreamtime. Fiction is the work of the shaman as well as the craftsman, and there’s no creativity more pristine than magic. Anyway, the contest challenges writers to come up with a deliberately inept opening sentence of a phony novel in the style of Paul Clifford. The best, i.e. most effective, piece of bad writing earns immortality on the BLFC’s web site. Here are the “winners” and runners-up for 2011. 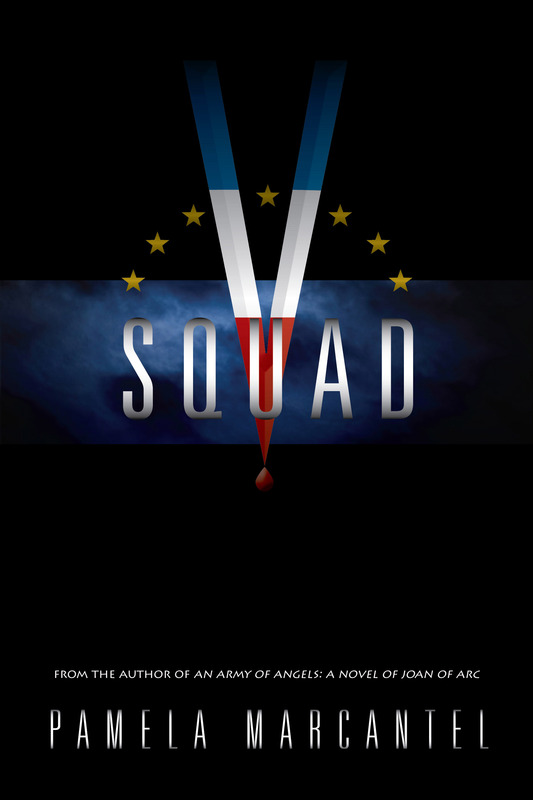 I’m very happy to announce the arrival of my new e-novel, V-Squad, to digital bookstores where it is now on sale for the Amazon Kindle, the Barnes and Noble Nook, Apple’s iBook for the iPod/iPhone and iPad, and at Smashwords.com. A vampire novel set in World War II, V-Squad is more character-driven than a roller-coaster action adventure. And although a real departure from traditional horror fiction, it has little in common with the Sookie Stackhouse books and even less with Twilight‘s fey vampires. At the same time, it is evocative of both literary and film genres that readers will find familiar. I like to think of it as Dracula-meets-The Dirty Dozen-meets-Ivanhoe — co-starring ninjas. For a more detailed description, go here, and here for an excerpt. You can also download the first thirty pages for free on the Smashwords site.